By now, we're sure you've all seen the prototype of our very own flying vehicle, which its maker have clarified is NOT a car. It's actually a drone that can carry passengers and stuff. Ermmm...OK. The flying car-drone thingy was unveiled at the Langkawi International Maritime and Aerospace 2019 (Lima’19) exhibition on Wednesday. Named the Vector, the scale model stole the limelight at the exhibition - but not in a good way. Ever since its unveiling, Malaysians have taken to their social media pages to share their thoughts, and boy, did they have a lot of things to say. In fact, Prime Minister Tun Dr. Mahathir Mohamad's face in the picture has garnered as much attention as the 'drone model' that the country is allocating RM1 million for. Malaysians, being the hilarious bunch we are, have of course come up with memes as soon as the pictures hit the internet. The memes have been shared so often the sources are hard to pinpoint but we appreaciate it all the same! Here's one that depicts Tun M rueing the death of his Vision 2020, which, to be honest, has been in the ground for quite a few years already. The confusion is real... We guess it's good now that we know it is meant to be a drone, and not a car? When you have nothing good to say, say nothing at all. Except in your mind. This probably is the most common, and instinctive reaction to the prototype. Is there anything worse than disappointing someone you look up to? 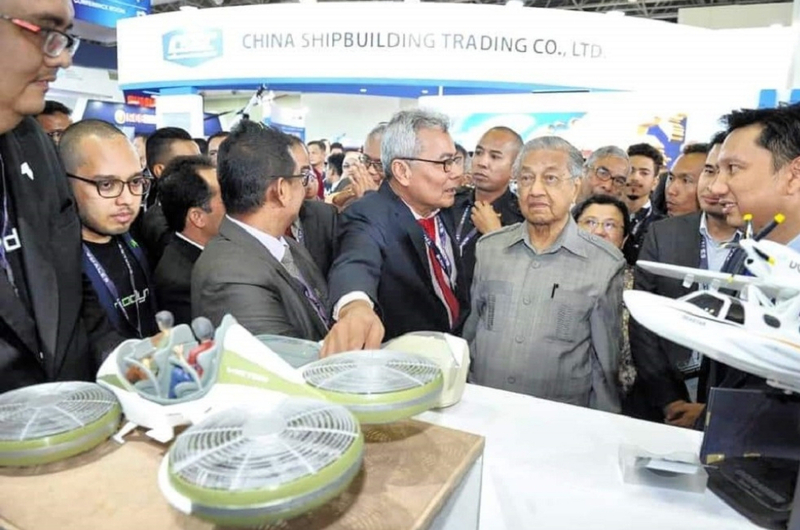 If Tun's expression is any indication, the creators of the drone vehicle have an uphill battle ahead. Since we have a little bit of the FOMO-syndrome, we came up with a few of our own! You can find them all here but enjoy a preview first.